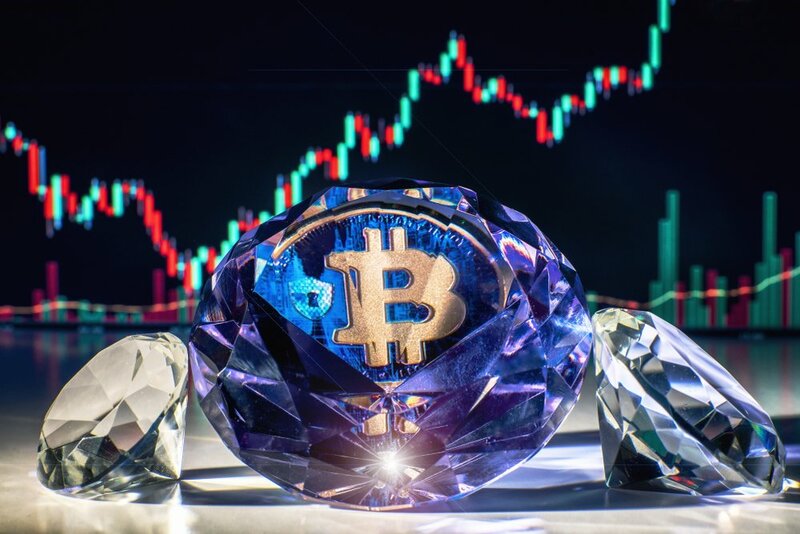 Bitcoin Diamond has been making moves lately in the altcoin sphere with a recent spike that saw it make 67 percent gains at the highest point. 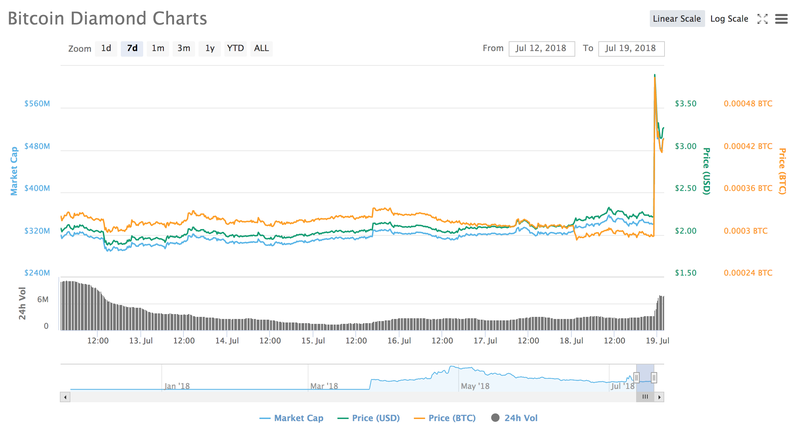 Various other altcoins have also seen large gains, with Ardor, which recently got listed on Binance, seeing a 38 percent jump and aelf a 30.5 percent. Amongst top ten coins, Stellar and Cardano were performing best with 28 percent and 23 percent gains respectively, no doubt off the back of the recent Coinbase listing announcement. The exact reason for Bitcoin Diamond’s sudden meteoric rise is uncertain but earlier this month on July 8 it doubled it’s value in the space of three days to hit $3.83. Following that spike, it got listed on Xstar.io exchange and has since retraced to a $1.70 low before recovering and then jumping to around $2.80 today. It is certainly exhibiting some strange behavior on CoinMarketCap with prices on Binance and Kucoin being indicated as $17.52 and $33.08 respectively. Crossd.io announced on Twitter that it believes Bitcoin Diamond may have a problem as indicated by its arbitrage platform. It shows incredibly high buy and sell prices on the HitBTC exchange. 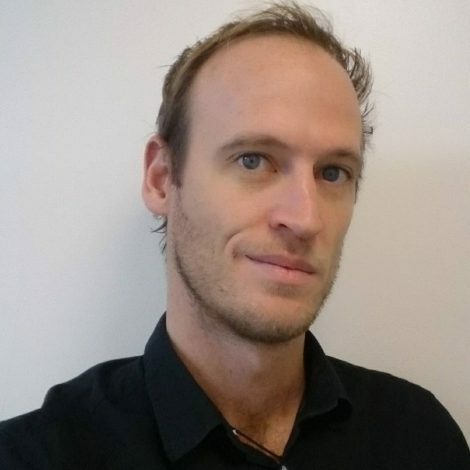 As has happened on previous low hashrate coins recently, this could very well be due to a 51 percent attack or wallet attack similar to the one that affected Binance and Syscoin recently. Although it is likely with a low liquidity coin like BCD, this could just be a pump n dump.